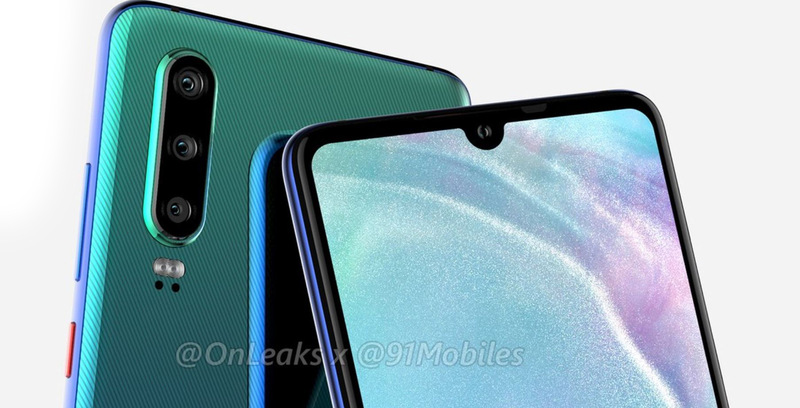 Two new renders of the Huawei P30 Pro have leaked online thanks to an error from case maker Spigen. The images show off the front and back of a black version of the device. The leaked renders also show a clear Spgen case. It hard to make out if the subtle pattern on the back of the phone is a part of the phone itself or a byproduct of the case. Previously, leaked renders of coloured versions of the device made it seem like the phone features a textured back. Unfortunately, this new image doesn’t show definitively one way or the other. Notably, this render shows all of the P30 Pro’s four main cameras placed on a single island instead of two separate arrays as we’ve seen in other leaks, such as the one below. This new leak also has the flash positioned differently than some other renders. Either way, this phone looks like a marked improvement over the P20 Pro and if the back does have a subtle texture than that’s a big plus in my books.